You may have heard about how Google has been dishing out unnatural link warnings over the past couple of years as they released their algorithm update, Google Penguin. We recently had the pleasure of resolving a resolving one of these warnings for a client who came to us with this problem – which had been generated as a result of previous shoddy work from an old supplier. Here is what we have learnt from this process and how these warnings often aren’t actually as bad to resolve as one may initially think, if you understand how Google is thinking. 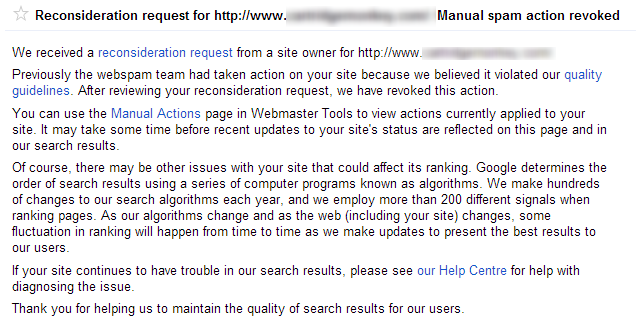 Firstly though, let’s take a look at what Google Penguin is and where these unnatural link warnings come about. rs ago. The algorithm was brought about to penalise websites who were building links from low quality websites to their own website with the aim of increasing their visibility within the search engines. Basically to manipulate their SEO efforts. Google is determined to stop people and businesses gaming their algorithm and instead looks to reward websites who generate high quality and natural links from relevant websites. There is a clear reason why businesses have attempted this previously and that is because more visibility in the search engines ultimately leads to more traffic and sales. After Google launched their Penguin algorithm, they started to send webmasters notifications and warnings via Google Webmaster Tools informing them that they needed to clear up their act. In a lot of cases, this was accompanied by a penalty in the search results leading to less visibility, less traffic and ultimately less sales. Yes, in the online world it seems that Google is indeed the judge, jury and executioner. Google officially recommends that you manually email each of the website owners where the low quality links are present and ask nicely if they could remove the link from their website. This is great in theory, but in practice this is absolute nonsense. Website owners of low quality websites are simply not interested in doing anything of the sort and any attempt at doing so is a waste of time. But let’s stick with this train of thought for now though, as this is what Google wants people to do. For the website in question, we identified all of the websites on the internet that were linking to the site and all of the pages. In total, this was almost 1000 domains and over 10,000 pages. Quite a few websites to crawl through to identify if the website would be deemed as ‘low quality’ by Google. Google kindly put together a Disavow tool which is designed to inform Google which of the websites that are linking to you should be ignored during their ranking algorithm. For example, there is absolutely nothing stopping any single website owner on the planet linking to your website without your sign off. This is how the internet works, always has and always will. So the fact that Google introduced a penalty designed to penalise websites based on other peoples’ actions is a little odd to say the least and quite frankly is nothing more than Google admitting that their ‘all-knowing-algorithm’ isn’t actually as good at determining quality as they like to think, which is why they needed to enlist the help of thousands of website owners around the world. That said, it was introduced to target specific websites that were actively either selling links to websites, target low quality directory websites which offer no value to anyone along with other pointless websites on the internet that have no value to anyone. Back to the investigation though. What we found for the client we were investigating this for was that over 51% of the websites (domains) that were linking to their website would be deemed as low quality by Google, which in total accounted for 17% of their total backlinks. This is quite a significant percentage of their backlinks that was causing the penalty. On further investigations we did find that these had clearly been built by a previous person who was aiming to game Google’s algorithm into making the client websites more visible on Google. Hence why you should never look to game Google and also why we don’t go out and build links for clients, it simply isn’t the right approach and hasn’t been for a good number of years now. Ok, so remember that Google’s official guidelines are that you should go out and contact everyone who is linking to you and ask for that link to be removed, before submitting a Disavow file and a reconsideration request. Well, you don’t really need to do that. Just tell Google you did. As a quick overview of the types of links we found that we needed to tell Google that they are low quality, via the Disavow file and reconsideration request. 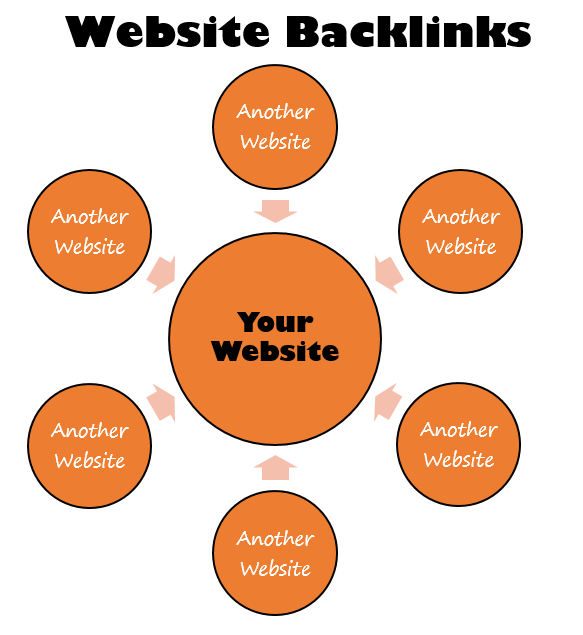 This included paid links (a big no-no), directory websites, thin affiliate websites, unrelated guest blog posts on other websites, low quality articles and even a few hacked websites. There are many other types of low quality websites that you really don’t want to be having links from, but this gives you an idea. So once you have identified all of the websites that are linking to you that are deemed to be low quality, then Google recommends that you identify the specific pages of that website and add them into the Disavow file. Again, the reality of this is that this is a waste of time. 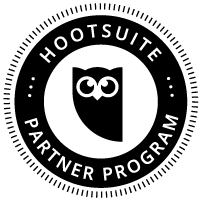 If you have the time, energy and inclination to crawl through 10x the number of links then feel free, and while you are at it feel free to visit and make me a brew with all of the free time you have. Personally though, I like to take a more streamlined approach to achieve results. So here, we just Disavowed the whole domain. Knowing many other businesses who have gone through this same process, it was clear that Google very rarely used the information you gave them first time round and were generally quite unhelpful during the process. So we went through their recommendations and followed their guidelines anyway with this in mind. We created a Disavow file, submitted it to Google Webmaster Tools then wrote a lovely reconsideration request with all of the details about the history of the work and how this would never happen again to this client as they are working with a great company now (aka. us). Sob-story and all. We also told them that we had painstakingly taken weeks to contact each any every website owner to remove the links and they simply hadn’t got back to us (we hadn’t actually done this, they just needed to hear this). Result? No surprise, they gave the helpful information that “there are still some low quality backlinks that you need to remove”. We were expecting this. Thanks Google, very helpful. So we added a few more domains (around 20) into the Disavow file, followed the same process as before. So we added a few more (around 5) into the Disavow file for a third time, repeated the process including the ‘begging letter’ aka the Reconsideration Request. This time talking about how we had spent an awful lot of time to do this costing a considerable amount of resources to go and how they weren’t being that useful. One thing to note is that we did leave a week or two in between each time so that it would at least appear to Google that we had been working very hard between submitting the reconsideration requests. Be patient. Tell Google what they want to hear. Don’t waste your time on contacting website owners. Disavow the whole domain if it looks suspicious, life is too short to worry about individual pages. Not sure if your current SEO activities are working? Then get in touch and speak with one of our professionals who will be able to help support the growth of your business online for the long term. Working with the Disavow file and reconsideration requests within Google Webmaster Tools can be a risky business if you don’t know what you are doing. You could end up telling Google to ignore some very powerful links to your website which would do even more harm, lower your visibility on Google and decrease your sales. Don’t play around with this unless you are confident about what you are doing. Better yet, leave it to the experts, get in touch to find out more.